Dulles South area high school students got some good news this week, while its middle school students got some not-so-good news. 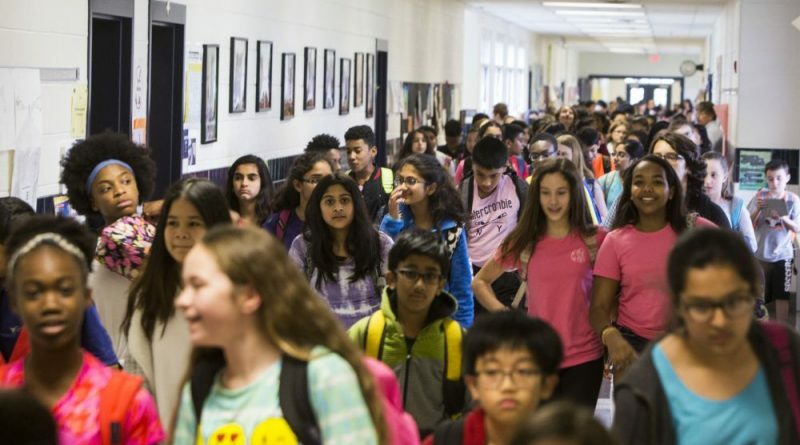 The Loudoun County School Board on Tuesday voted to allow current freshmen and sophomore students to continue to attend John Champe High School through their graduation, if they so choose. Forty-eight students requested permission to finish out their high school careers at John Champe. Attendance boundary changes adopted earlier this year reassigned hundreds of secondary school students in the southern end of the county ahead of the opening of new schools and to relieve enrollment at crowded schools. The board also voted Tuesday to not allow current Mercer Middle School seventh grade students to stay there for another year. Mercer is the county’s most over-enrolled school, with about 1,900 students, more than 500 students over its building’s capacity. Enrollment has grown so quickly in that part of the county that the School Board decided to temporarily open a new middle school, known as MS-7, as an intermediate school. It will house grades eight and nine for the 2018-2019 academic year, while sixth and seventh graders attend Mercer Middle School, and 10th through 12th graders attend John Champe High School.